May 29, 2012 Sayani Ale Oginali (Sayani and Friends) album is released! The record includes "Amazing Grace" in the Cherokee language, "On This Silent Night" and more! 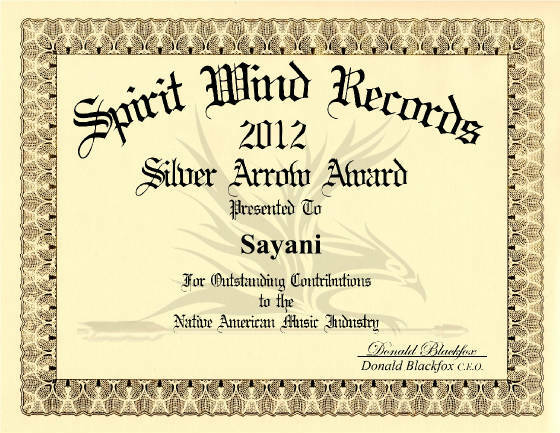 2012 The Native American Music Awards nominated Sayani for "On This Silent Night" for Best Gospel / Inspirational Recording! 2011 Sayani is nominated for Best Duo/Group of the Year for the Native American Music Awards! 2010 Sayani's new single, "Break Away", is released. It's included on the compilation CD "The Color of Hope", which is a project by Spirit Wind Records to help women who are victims of domestic violence. 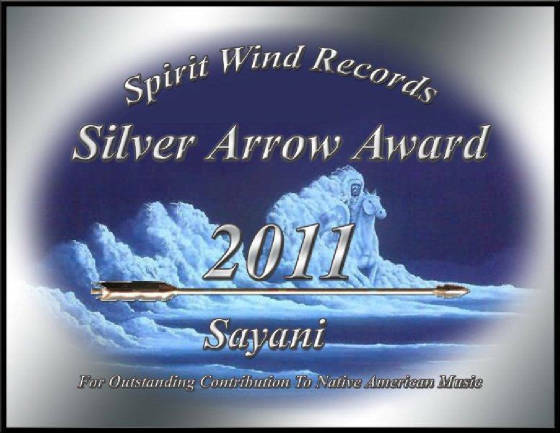 Sept. 20, 2010: Sayani received nominations for the Native American Music Awards in two categories: Best Debut Duo Artist and Best Gospel / Inspirational Recording! 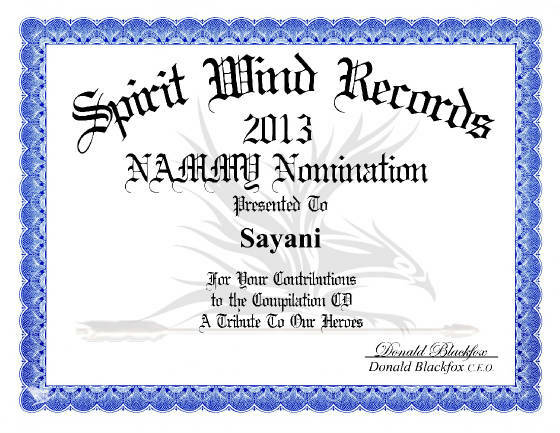 Nov. 12, 2010: Sayani won the Nammy for Best Gospel / Inspirational Recording for Sacred Fire! 2009 Sayani signed with Spirit Wind Records. 2009 Sayani joined several other Native American artists and Spirit Wind Records for the compilation CD “Rise Up: Music from Native America”, that would benefit the homeless by providing support to homeless shelters. 2007 Na Kahu II Album "Call to the Nations" nominated for Indian Summer Awards. August 2006 DonaJoe Productions has moved from Hawaii to Texas. Please go to the "Contact Us" page for updated contact information. 2005 Indian Summer Awards: "Sayani wins Best Spiritual Album with their Aloha Ke Akua album, Na Kahu." 2004 Nvda Sunalei, Sayani's debut album, was nominated for the Indian Summer Music Awards in both Country and Religious Album Categories. They received seven nominations for the Hawaiian Hoku Awards. 2003 Nvda Sunalei, Sayani's debut album, received five nominations for the Native American Music Awards (Nammy's). Sayani was honored to be in the "World" Category finals for the Nammy's. Click here to see pictures from the Nammy's!